Welcoming presentation – Lifestyle centers are generally designed to promote a traditional, comforting, small-town feel. People feel welcome the moment they arrive, and the overall design of the center makes them want to stay and partake of the many opportunities there. The idea is to get people walking around, interacting with each other and the physical resources of the lifestyle center. The best lifestyle center architects which Charlotte, NC has to offer can help with just the right designs. Walkable spaces –Charlotte architects Bartlett, Hartley & Mulkey emphasize that great master planned lifestyle centers are pedestrian friendly. Sidewalks along the fronts of the retail shops and restaurants are often covered in case of bad weather. Walking trails, outdoor seating and other pedestrian-friendly amenities are often included in the designs. Functionality – Community size will play a big role in what kind of amenities can be offered within a master planned lifestyle center. Larger ones may feature as in-community businesses, gyms, grocery stores, restaurants, parks and even ball fields. Some even offer a blend of apartments, condos, townhomes and freestanding homes to provide a built-in customer base for the retail shops and restaurants. The idea here is to emulate a small town within a development by offering many of the goods, services and features people might need right near their homes. Some architecture firms in Charlotte, NC have extensive experience planning out such communities. 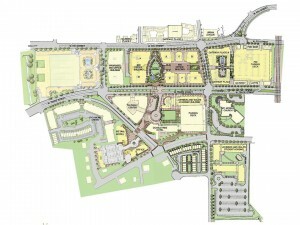 Master planned lifestyle centers enable developers to market more than new multifamily homes or stores. When experienced Charlotte architects such as Bartlett, Hartley & Mulkey are involved in the design and planning work, the end result is a true community which people love shopping at, visiting and coming home to.